In the spirit of transparency, tangible site changes will be documented here whenever possible. Feedback is welcome, but please post a new discussion about the specific topic in Suggestions and Bug Reports. Font sizes are now slightly larger all around. This was a selfish change as I was always using the browser zoom here, but I hear I was not alone in thinking the text was just a bit too small. Line-height is also a tad tighter. Unfortunately, the template provides no <p> tags in these posts(!) so I am unable to control the spacing between paragraphs which I feel could be much tighter. Overall, I appreciate James’ spare and readable design for TypeDrawers and I don’t intend to alter that in any significant way. Again, thanks to Webtype, Okay Type, and Bold Monday for the use of their fine fonts. Blockquotes are now gray so they are more easily distinguished from the general comment text. To prevent extreme logorrhea, each user is allowed only 2 comments every 4 minutes. (This is roughly twice as strict as before.) Those who attempt to break that limit are automatically gagged for 10 minutes. My guess is this limit is rarely reached. If I had the option I would prefer to set a per-day limit instead, but the forum software doesn’t allow that option. If folks really feel like that would be valuable we can request a custom change to the software. Posts and comments can be edited for up to 4 hours. The previous limit was 1 hour. New users must be approved by a moderator before their account is activated. There are no pre-requisites for membership. It’s just that there were bunches of bots creating accounts daily so it’s easier to keep them out this way. Suggestions, Feature Requests and Bug Reports categories have been merged for simplicity. Condensed The Rules. New users are more likely to read them if they are clear and concise. The list may seem much shorter, but all the important stuff is still there. Let me know if you disagree. Usernames can now contain hyphens and Latin characters beyond the Latin 1 character set. If you have been living with a faux name because your real one wasn’t supported now is the time to visit your profile and legitimize yourself! Thanks for your patience with this. Merged “Hinting” category into “Technique and Theory”. In the future you can use tags for specific topics within categories within type design and font production. Renamed “Software” to “Type Design Software” for clarity. Upgraded to Vanilla’s Advanced Editor which offers better text formatting and image upload features. Attached PDFs now load in browser and are visible to non-members. Added full Unicode support for usernames. (Ermin Međedović, you can finally be yourself!) Now we just need to get support for our usernames which have spaces. TypeDrawers now has an official moderation team responsible for keeping an eye on discussions, settling disputes, and voting on user suspensions and major policy changes. Enabled “Quote” plugin. Click the button under any comment to automatically add the content (in a blockquote style) to a new comment. This also has the benefit of citing the comment’s author and properly linking to their profile, which is useful because “mentioning” is otherwise a known issue on the current site. 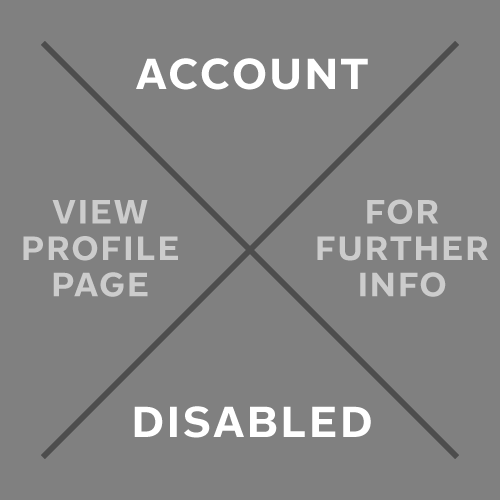 Replaced previous “BANNED” profile picture with one that reflects that an account may be closed for other reasons, such as the user’s own request. No single Moderator will bury a comment on their own. Mods may bury a post if there are already multiple user flags on the comment, or if there is a consensus among Mods that it should be buried. The Mod who buried the post will contact the offender, describe the offense, and give them a chance to edit their post so it can be unburied. Official ownership and administration transferred from Stephen Coles to Tiffany Wardle de Sousa and James Todd. The Changelog and other administrative posts are now under their management. The TypeDrawers Twitter account is also now managed by the new administration. Tiffany Wardle de Sousa takes Coles’ seat on the Moderation Committee. Updated the donation info to note that Coles will continue to pay for operating costs through 2016. The forum software has changed, so we’ve updated the rules in accordance. Starting now, members can expect warnings when they are breaking the rules. These warnings come with penalties, such as being unable to post as often, or temporary bans. A notice gives 0 points and is for minor infractions. A warning level 2 gives 2 points and lasts 1 month. A warning level 3 gives 3 points and lasts 2 months. Someone with 3 or 4 points gets put in "jail" and they can't post new discussions, or post as often. Someone with 5 or more points gets temporarily banned. Repeated rule-breaking behavior will result in permanent bans.